For More Study Tools - see Test-Guide.com's Recommended CDL Study Products to improve your chances of passing. Many prospective CDL candidates do not know how to study for these tests. Others become overwhelmed with the amount of information that they think they must know. CDL pre tests are a great way to help you study. A CDL pre test (or practice test) will help you evaluate what you already know and what you need to work on. Using sample questions also helps you get accustomed to the format of the test so that there are no surprises. The best way to study for your CDL test is to review the information in your state's CDL manual. Make sure that you concentrate only on the areas that you are required to. For example, if you are not planning on driving a school bus, do not waste your time with the school bus section. If you do not know which tests you need to take, please visit our CDL Test Overview for a guide to the endorsements. After you have studied the state CDL manual, you are then ready to take a CDL pre test. Test-Guide.com's directory of free CDL practice tests will help you in your preparation. Our practice tests do not require any registration and will be scored immediately. Even better, your score report will include a complete explanation of all of your wrong answers. We provide multiple sets of CDL pre tests to help you become accustomed to the types of questions you will see on the actual exam. Everyone taking the CDL test will be required to pass a general knowledge exam. The general knowledge test will contain 50 questions, and you will be required to get at least 40 questions right to achieve a minimum 80% pass rate. The general knowledge exam will cover sections 1-3 and 11-13 of your state CDL manual. The following topics will be covered:Basic Control of Your Vehicle, Vehicle Inspection, Driving Safely, Communicating, Seeing, Shifting, Gears, Seeing Hazards, Managing Space, Controlling Speed, Driving in Very Hot Weather, Driving in Winter, Driving in Fog, Driving at Night, Aggressive Drivers/Road Rage, Distracted Driving, Driving Emergencies, Mountain Driving, Railroad-highway Crossings, Crash Procedures, Skid Control and Recovery, Antilock Braking Systems (ABS), Cargo Transport, Fires, Staying Alert and Fit to Drive, Alcohol, Other Drugs, and Driving, and Hazardous Materials Rules For All Commercial Drivers. In addition to the general knowledge test, you will probably be required to take one or more endorsement tests as well as an air brakes test. To understand which tests you are required to take, please see your state cdl manual or visit our CDL test overview page. The endorsement tests are: double/triples, tank, passenger, school bus, and hazardous materials. These tests will have between 20 and 30 questions each. They will also require you to get 80% of the questions right to pass the test and receive your endorsement. Our online CDL practice tests and study guides will help you pass your CDL test. The CDL Test consists of a general test, one or more endorsement tests, and an air brakes test. 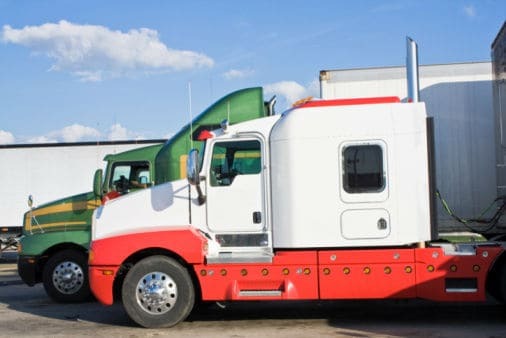 The CDL tests that you will take depend on the license classification that you are obtaining (Class A, B, or C) and the type of vehicle that you will be driving (e.g., Tanker, Double/Triple, Passenger Bus). Every state CDL license agency can provide more details on the requirements for a CDL license as well as a detailed CDL manual.